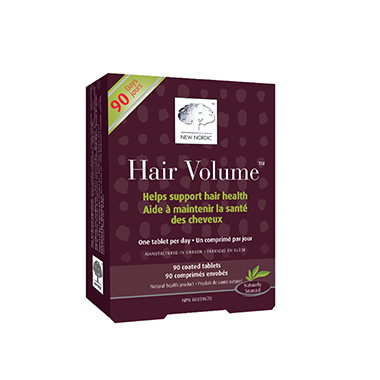 Hair Volume is an advanced formulation of bio-active nutrients based on the latest scientific research. It has been developed by New Nordic's expert's with specific apple procyanidin B2 extract and nutrients to contribute to the maintenance of normal hair. The natural extracts and nutrients of Hair Volume are delivered via the bloodstream directly to the hair root and dermal layers of the scalp where they are needed most. Hair Volume also contains support for normal hair pigmentation and for your skin and nails. I've been taking these for years now and I love them. Like anything, it takes time. The previous reviewer said she's only been taking a week and hasn't noticed a change. OMG...REALLY? You expect a change in a week. Try using it for several months and then review it. It takes months for supplements to do their work in your body, not weeks. So their review should be discounted! I've only been taking it for about a week so haven't noticed any change yet. But I'm expecting it to take at least a month so I'm still hopeful.